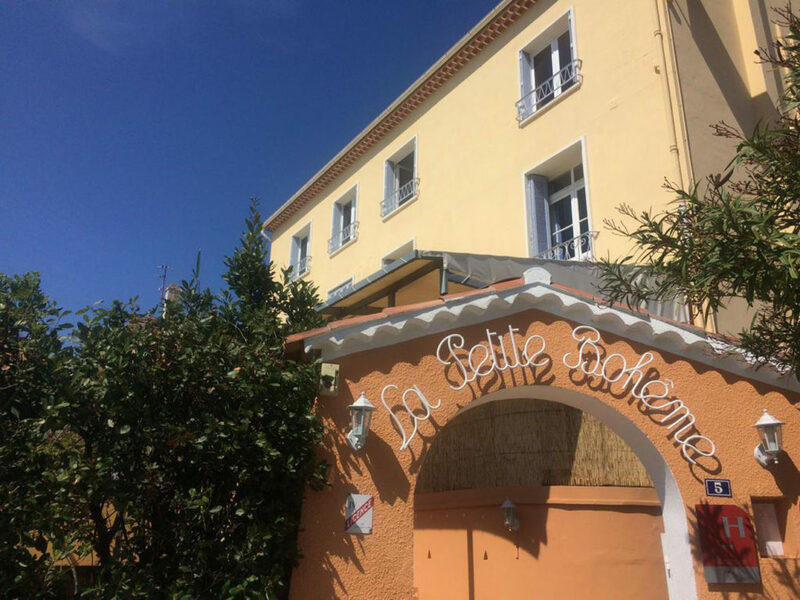 La Petite Bohème is an old building from the 19th century located in Lavandou, which used to be a part of the neighbour town Bormes-les-Mimosas and which is located 30 km away from Saint-Tropez. 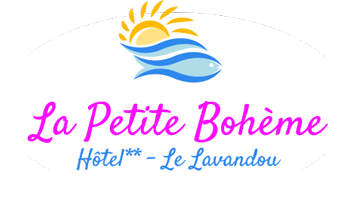 The hotel has 18 rooms of which 10 have a sea view offering an outstanding panorama over the Lavandou Bay, Bormes-les-Mimosas marina and the Golden Islands. Its ideal location, only 200 meters from the beach and the marina while being away from the hustle and bustle, is a real advantage for relaxing holidays. You can check-in between 5 p.m. and 8 p.m., however it is possible to leave your luggage at the reception during opening hours: everyday from 7.30 a.m. to 1.00 p.m. and 5 p.m. to 8 p.m. 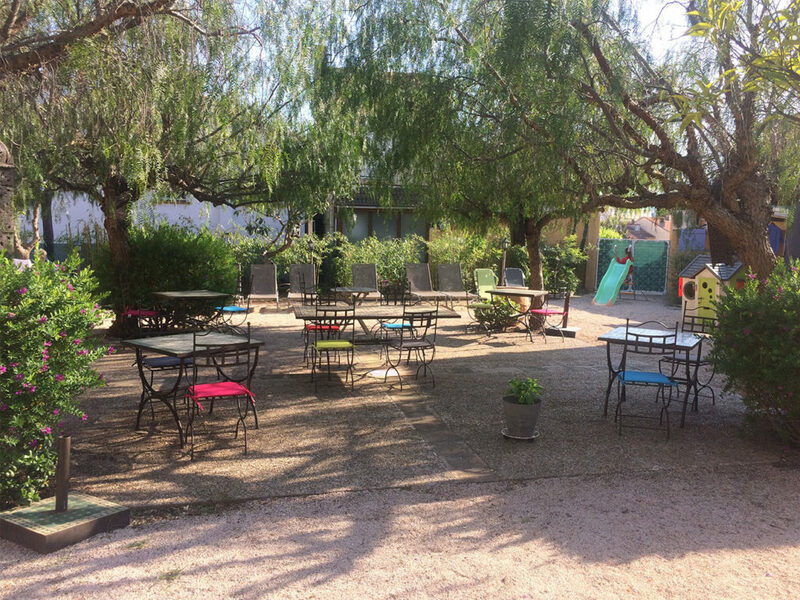 The hotel’s shady garden offers a refreshing break through the warm summer days of the French Riviera! You will appreciate its quietness and its conviviality. 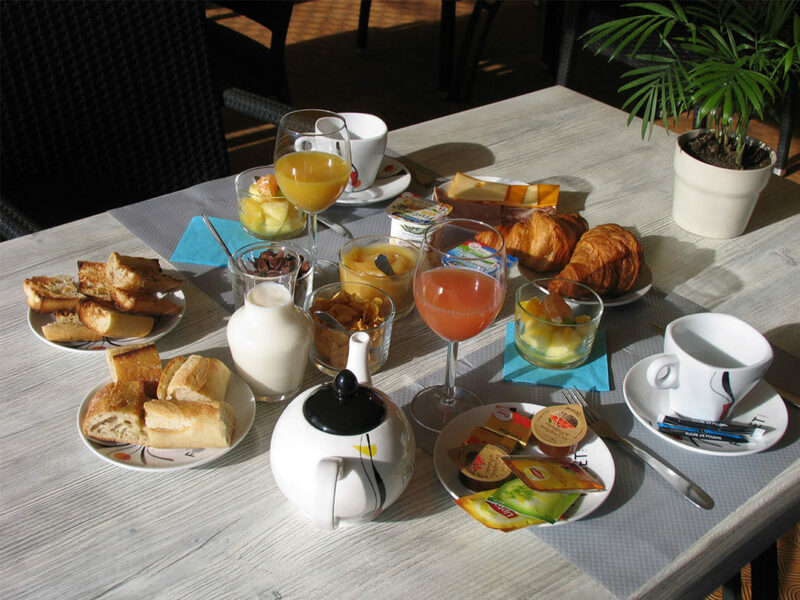 All year round, La Petite Bohème serves a copious breakfast as a continental buffet in the inner room, on the terrace or in the garden: bread, pastries, fruits, cheese, fruit juice, coffee… The best way to start the day before exploring the surroundings. Between June and September, only on reservation, the hotel’s host table welcomes you in the evening for a dinner in the inner room or on the terrace. This half board option is available for groups and individuals and offers a single menu of the day.